The Respiratory Therapy Department helps patients breathe easier using treatments to preserve or improve lung function. Most of the patients seen by the Respiratory Therapy staff have problems such as asthma, emphysema, congestive heart failure, or pneumonia. All procedures are ordered by the patient’s physician. Diagnostic studies include Pulmonary Function Testing, which studies how much air the lungs can handle as well as how fast air moves in and out of the lungs. This study is used in the detection of disorders such as asthma. Respiratory Therapists also obtain arterial blood samples for blood gas testing. This determines the amount of oxygen and carbon dioxide levels in the blood as well as the acidity of the blood, which is vital in determining a patient’s respiratory problem. Electrocardiograms (EKG’s) are also performed by our Respiratory Therapy Department. Therapeutic procedures performed by the Respiratory Therapy Department include aerosol treatments, metered dose inhalers, chest physiotherapy, incentive spirometry, oxygen administration and mechanical ventilation. 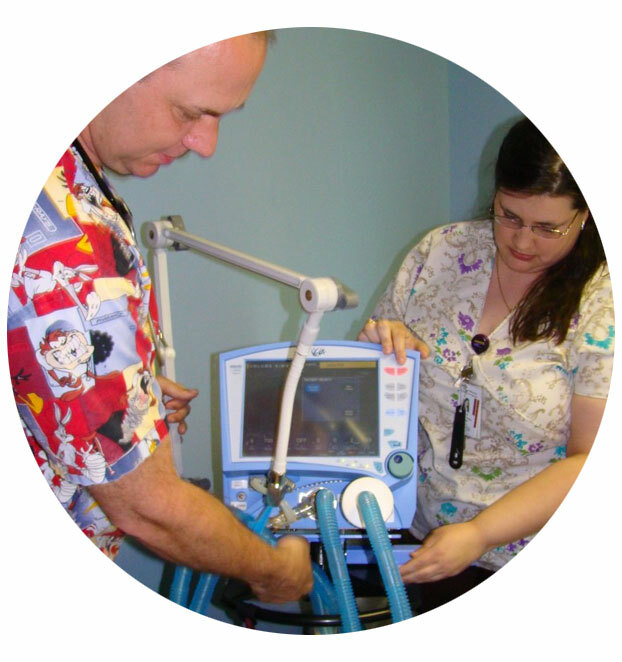 The Respiratory Therapy Department is located on the first floor of the hospital. Outpatient PFT’s ( Pulmonary Function Test) and EKG (electrocardiogram) tests are performed by appointment by calling 585-798-8044.